How can I get more from my journey? One way is by digging deeper into the weekly readings. If you want to get more out of dismissal and the Tuesday night discussions, dig deeper into the weekly readings through the weekly tools we have here for you. The more you read the Bible, the closer you get to God. The more you read the New Testament, the closer you will become to Christ. Through reading and through prayer, you will greatly enrich your journey. The USCCB site is a great place to get the readings, read the Bible and the readings are also available to listen to and there is even a short reflection available you can listen to our watch. You can even subscribe to the podcast. Each week the Carmelites add a new exercise with the weekly readings. These exercises are to help you grow in your abilities to make the scriptures part of your life, not as a learning tool, but as religious experience. 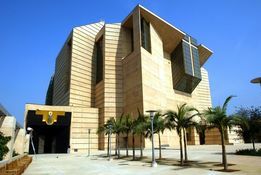 The Archdiocese of Los Angeles is a great resource for upcoming events including concerts, education, meetings and special masses. You can drive and park or even better yet, relax on the Metro. Check it out! Want to hear great speakers? There are many things Catholic and many places to go. Not all Catholic sites are the same, however, Rev. Felix Just, S.J. has a website where you can go for many things Catholic. There are links to many Biblical Resources on the left side of the page. If you want more readings, there are daily readings that coincide with the Daily Mass. There are so many ways to take the readings with you in the electronic age, I can't begin to list them all, but we will list a few of our favorite apps for readings, news and much more of everything Catholic! 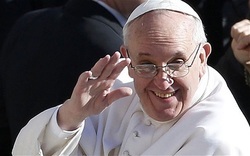 What do you know about Pope Francis? Watch this cartoon video by Catholic Link on who the Pope is. It is insightful and informative, yet fun! Fr Barron discusses St. Paul and the Mission of the Church. He persecuted Christians, became a saint? You wonder how that can be possible. Many of the saints came from not so saintly backgrounds. A conversion experience can impact us all in different ways. St. Paul once persecuted Christians, but through his encounter with Jesus on the road to Damascus he become one of the founding fathers of the church. Read to see what the British Jesuits have to say about Paul.